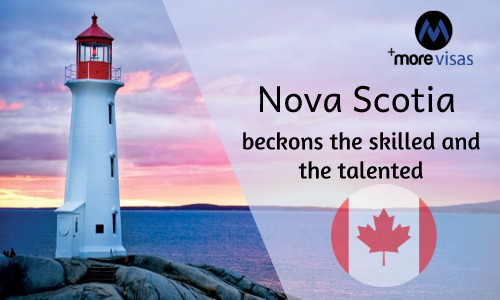 Nova Scotia is beautiful and through its Nominee Program, you will arrive at success. Prospective immigrants who possess the skills and experience required by Nova Scotia may be nominated for immigration. By Receiving a Provincial Nomination Certificate, the overall immigration process speeds up. The processing time required for eligible applications is expected to be three months. Within six (6) months of receiving your nominee certificate, one can apply to CIC for a PR visa. The spouse and dependents are also required to meet all medical, security and criminal norms and requirements for getting an entry. CIC is vested with the authority to issue a PR visa. The Entrepreneur Stream is meant for business owners or business managers who are experts in their fields and wish to live in Nova Scotia. They are required either to start a new business or buy an existing business and participate in the daily management of affairs. After registering success over a one-year period they can be nominated for PR status. The International Graduate Entrepreneur Stream is meant for graduates of a Nova Scotia university, or it’s Nova Scotia Community College. The requirement is already starting or buying a Nova Scotia business and operating it for a year. Provided they settle in Nova Scotia, they can be nominated for PR status. The Skilled Worker program has been designed to help employers to appoint foreign workers, and international students who have graduated, possessing skills required by the state. The employer is allowed to foreign workers hiring for such positions where PR or citizens of Canada are not available. The Immigration has the right to consider only a few categories of occupations for the nomination, based on existing market needs. This stream chooses meritorious and skilled individuals who intend to live permanently. The Applying persons must have experience of one year in a top-skill occupation in a responsible position.